People have been asking us for an eye creme, so we’re really happy to bring you this one. It’s unscented, and chock full of moisture-retaining good stuff like hyaluronic acid, blue-green algae, calendula and pomegranate. PLUS it has rooibos! Besides being super fun to say (rooibos, rooibos, rooibos), rooibos is a powerful anti-aging ingredient, protecting skin and maintaining a more youthful look. After cleansing and toning, gently apply eye creme to the delicate area around your eyes. Use morning and evening. 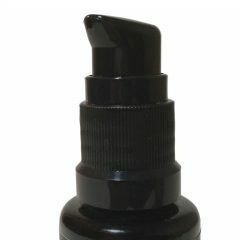 Eye cremes are designed to highly moisturize the finest skin on your face. When you apply eye cremes, always use your ring finger or pinky to apply products around the delicate area of your eyes. Your pinky and ring finger are weaker by nature and therefore you apply a gentle pressure. 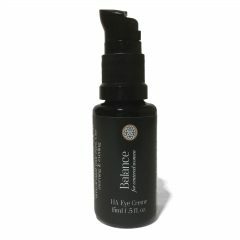 This velvety eye creme will help reduce wrinkles and the effects of long hours outside. 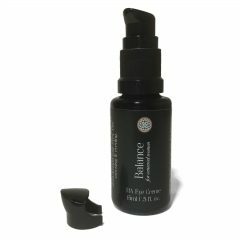 These natural ingredients work synergistically to balance, soothe and supply moisture, while protecting from environmental stressors. Hyaluronic acid, also known as hyaluronan, is a clear, gooey substance that is naturally produced by your body. The largest amounts of it are found in your skin, connective tissue and eyes. 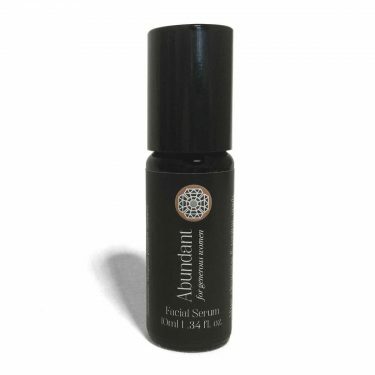 Its main function is to retain water to keep your tissues well lubricated and moist. Roughly half of the HA in your body is present in your skin, where it binds to water to help retain moisture. However, the natural aging process and exposure to things like ultraviolet radiation from the sun, tobacco smoke and pollution can decrease the amount in the skin. When applied to the surface of the skin, HA can reduce wrinkles, redness and dermatitis. You’ve probably heard of rooibos tea, also known as Red Bush. The tea, and this extract, come from the rooibos plant, which is known particularly for its anti-allergy and respiratory benefits. Because of its high flavonoid content, rooibos is a powerful anti-aging ingredient for skin care formulas. Since much of skin aging is caused by environmental stressors, rooibos’ abilities help to protect skin and maintain a more youthful look. Rooibos is also known to be helpful for sensitive skin. Rooibos is a source of vitamin D and zinc, and has been shown to be protective. In cosmetics, phthalates are used to plasticize products. Think nail polish and hair spray, for example. They allow the product to become flexible. You won\'t find any of that stuff in here.